Attorney Barry C. Schroder uses his more than 30 years of experience to help Grand Rapids clients with issues involving workers’ compensation and Social Security Disability. If you select us SchroderLaw to represent you in your disability case, you will benefit from all of Barry’s many years of experience. Barry developed his life-long commitment to helping people with disabilities when his father became disabled while Barry was a young student at New Buffalo High School. Barry witnessed the difficulties that his father encountered when he applied for government benefits and he wanted to help others overcome the same kinds of issues. Barry started his career at a large Grand Rapids law firm representing disabled clients in workers’ disability compensation law, Social Security Disability and discrimination cases. Ironically, Barry’s signature case involved discrimination against his police mentor, Ed Lyons, who had strongly influenced Barry’s decision to pursue a legal career in the first place. Barry was appointed to the Workers’ Compensation Appeal Board by Governor Jim Blanchard in 1986 and quickly promoted to Workers’ Compensation Magistrate — a trial judge who adjudicates workers’ disability compensation cases. 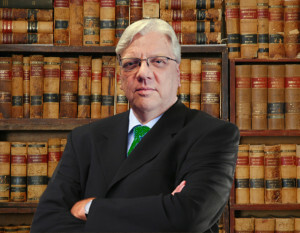 After two terms as a magistrate, in which he handled more than 12,000 cases, Barry established the firm SchroderLaw, P.C. in Grand Rapids.